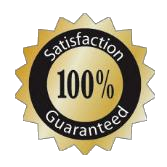 Here at Heaven’s Best we have a service and commitment that made us number one in carpet cleaners but did you know that same commitment and service is also available in an Unmatchable Hardwood and Laminate Floor Cleaning for the Birmingham, AL area? You might be aware that Heaven’s Best Eco-friendly formulas are tough on stains but yet safe for pets, children and the environment. Well, we carry that same commitment over into our hardwood floor surface cleaning. ​Heaven’s Best Hardwood Floor Cleaner is a unique and proprietary product that has been formulated to clean, condition, and protect all types of hardwood and laminate floors. This protection along with regular professional cleaning will extend the life and improve the appearance of your hardwood floors. Yes, that’s right! We are the experts in hardwood floor cleaning and can help restore the original beauty of those surfaces. Now you can have the same refreshed feeling we bring to your carpets every time you walk barefoot across your sparkling clean hardwood floor. Frequency of hardwood floor cleaning depends largely on how much traffic your hardwood floors see. We typically recommend 1-3 times a year of professional wood floor cleaning and conditioning. There is none better than the professionals at Heaven’s Best for maintaining your hardwood flooring for you. So, look no further for Unmatchable Hardwood Floor Cleaning! Give us a call today at 205-618-9150! Heaven’s Best Carpet Cleaning in Birmingham, AL is ready to service you and provide that same commitment and service that you know and trust to all of your floor surfaces.